Since 1962, AAMA Product Certification, the original third-party window performance program, has provided manufacturers with the means to independently demonstrate product performance to their customers. The program went on to raise the bar even higher by earning ANSI-accreditation in 1972 – a credential still maintained today. The AAMA Certification Label tells customers that a sample of the product has been verified as conforming to the standards’ requirements through independent laboratory testing and follow-up on-site inspection of the manufacturer’s production line. Products authorized for certification and their manufacturers are also listed in the online AAMA Certified Products Directory, the industry’s preeminent resource for window and door products. Energy efficiency is becoming increasingly important to homeowners, builders and manufacturers. Recognizing this, AAMA offers optional certification for thermal performance and condensation resistance. In addition to Gold Label Certification, manufacturers may certify thermal performance to the AAMA 1503 test method or through AAMA to National Fenestration Rating Council (NFRC) requirements. Manufacturers may certify their products for thermal performance with or without certifying for air, water, and structural performance. Those products certified for thermal performance only are designated with the AAMA Silver Certification Label. The AAMA Certification Program and its familiar Gold Label are accepted or required by many federal, state and municipal building codes and administrators as an indication of product quality to builders, dealers, and building and home owners. Given the value of the AAMA Gold Label, some manufacturers have been known to use imitation labels. 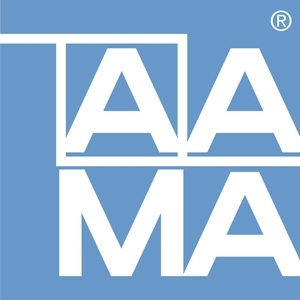 To protect those companies who’ve passed the required rigorous testing within its certification program quality assurance system, AAMA offers its online Certified Products Directory, which catalogs all products currently authorized for certification through the AAMA program and the companies that manufacture them.